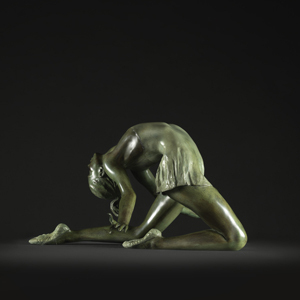 The beauty of the ARCHED GYMNAST challenges the anatomy’s flexibility in this extreme backward curve. 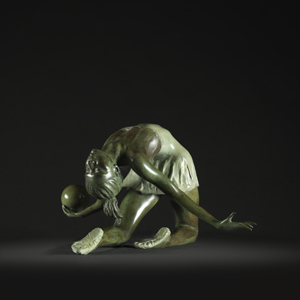 Arms open in a gesture of giving, she gives witness to the joy found in effort and the Olympic values of generosity and commitment to strive for the best. 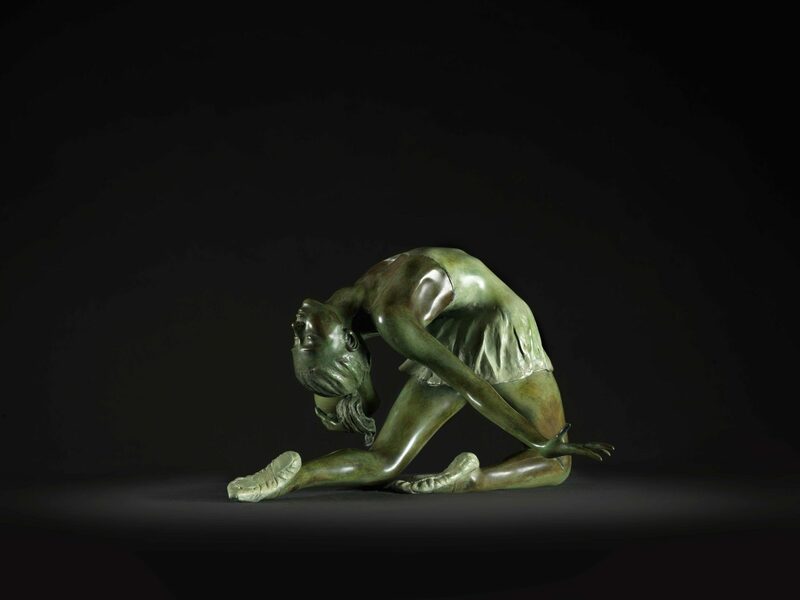 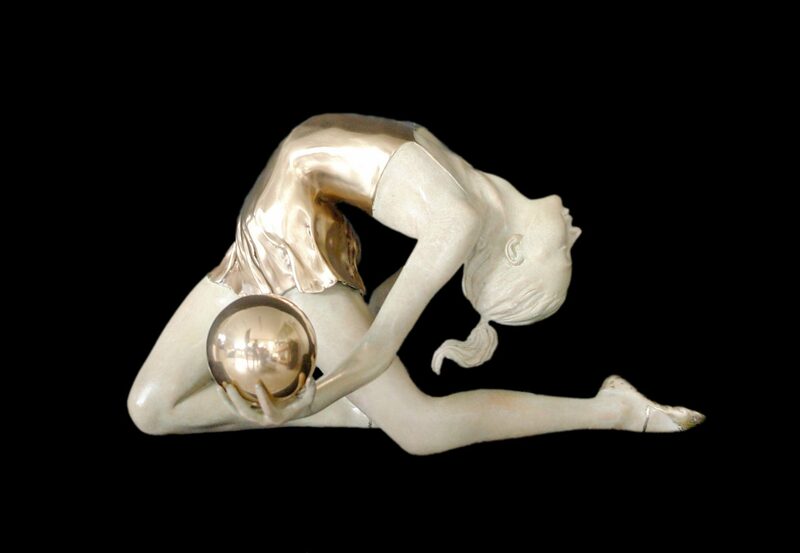 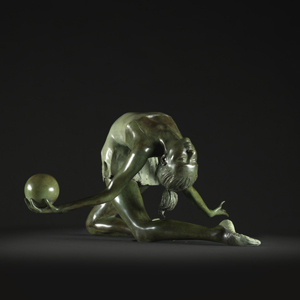 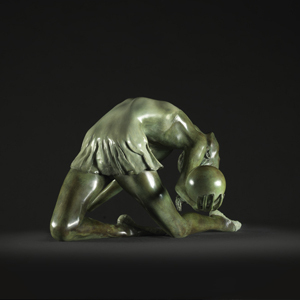 Created to raise awareness of the immense skill of the Rhythmic Gymnast, this 1/2 life-size figurative sculpture was modeled in clay and cast in bronze in the Swiss foundry. 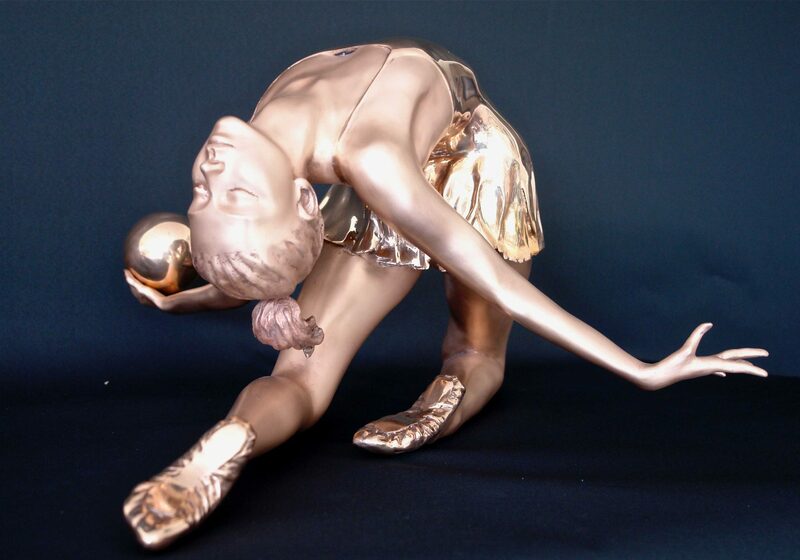 Bronze Limited Edition of 12 with sanded and polished bronze finish or various patinas. 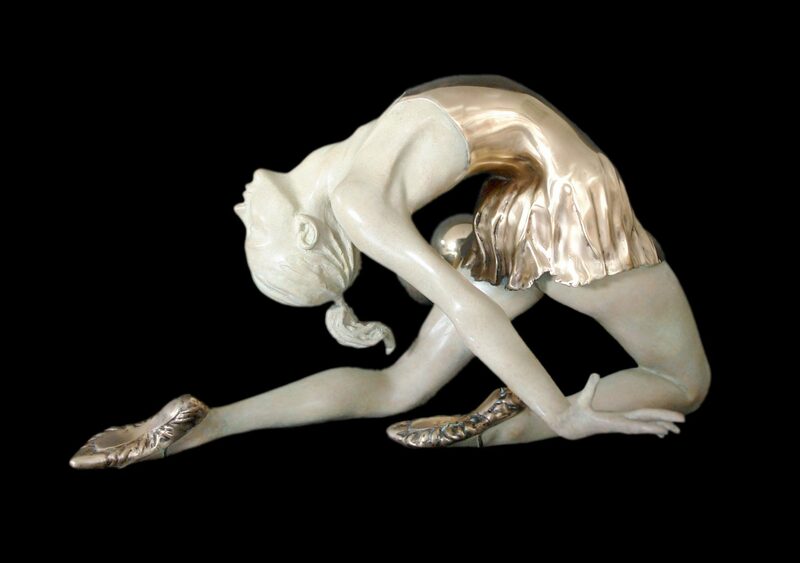 Height 33cm Lenght 61cm Weight 17kg.